Interview: Can a Regular Person Climb One Million Feet in a Year? Henry, a big smile knowing he only had 4000ft to go. There are times in life when you meet people who instantly make you want to be a better person and strive to do more. The kind of person that is doing something so huge that it makes you realise that most of the time, you really can do anything you set your mind to, Henry Quinney is one of those people. In October last year he set himself a challenge of climbing 1 million feet by bike in just one year. A year on and he’s finally completed that task. 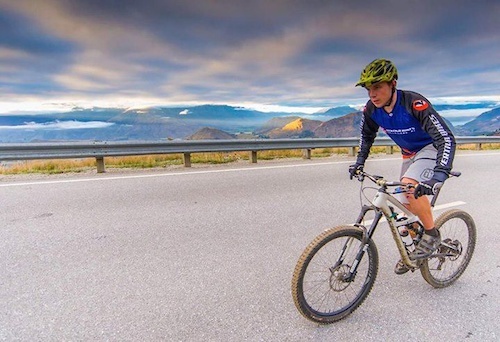 In the past twelve months he’s been in three different countries, suffered through injury, clocked up the miles on four bikes, gone through countless components and climbed 1 million feet, one pedal stroke at a time. 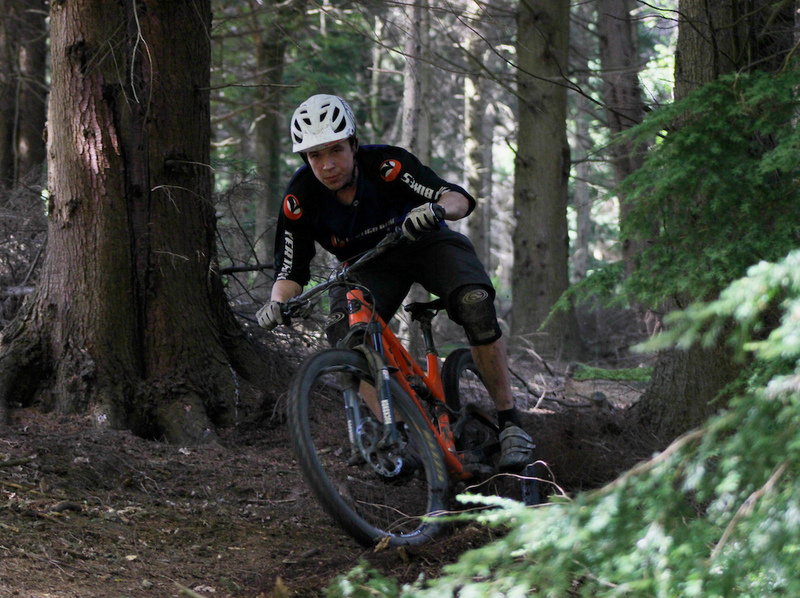 Starting in Queenstown New Zealand to enjoy the southern hemisphere summer, followed by some European sun he rounded off the year with some challenging UK conditions, we caught up with him in the Forest of Dean to find out just how he managed to get mind, body and bike through the challenge. It’s been hard. In the eleventh hour you get so tired you don’t even want to do the descent anymore. That’s the most nerve-wracking bit and the place you make so many mistakes and that’s when you crash. I mean when your vision goes because you’re just so tired, you’ve got to just accept it and be like, that’s it, let’s just crack on. Tell me about you, and your riding background? I started road riding when I was 16 or 17 and kind of got into and always enjoyed the big days, but when I finished a couple of things I wanted to do around 2010 I got a mountain bike and that was it really, I just suddenly found that the riding was more varied and more fun and it wasn’t just budgie smuggling, it was rad. I think there is still a part of the road biker in me in the sense that I love the big days and I love the experience of going and seeing things, but that’s how it all kicked off really. What possessed you to want to do the challenge? It was kind of funny actually because it started off as a really hollow forged plan to basically want to do something that was going to get me riding a lot, so I said I would do 300,000ft of climbing in a season and basically because my bike had been stolen, my house was broken into and I didn’t have anything to ride and all of a sudden it had started at 300,000 and I was like, well if you’re going to do something you may as well do it properly. I heard that Mark Weir did a million so I thought, well it’s doable it’s just going to be quite difficult. Then once I kind of externalised that I couldn’t really walk away I suppose, and once I told people even in passing that I was going to this thing it was as if I couldn’t walk away now that I’d told people, I had to do it. 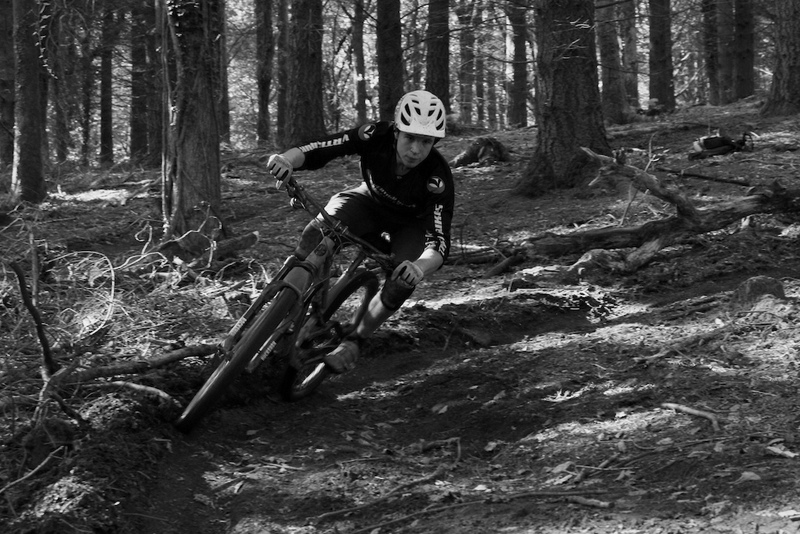 One of the only climbs in the Forest of Dean. You’ve done the challenge in New Zealand, the UK and France, where would you say you’ve done the most riding? Yes and I’d have to say New Zealand, then France, then the UK. I wasn’t actually intending to go to France until I did the million feet thing, but I figured I needed to go somewhere where it’s sunny and a place that had big mountains. You mentioned your job, you ride bikes. How did that all start? 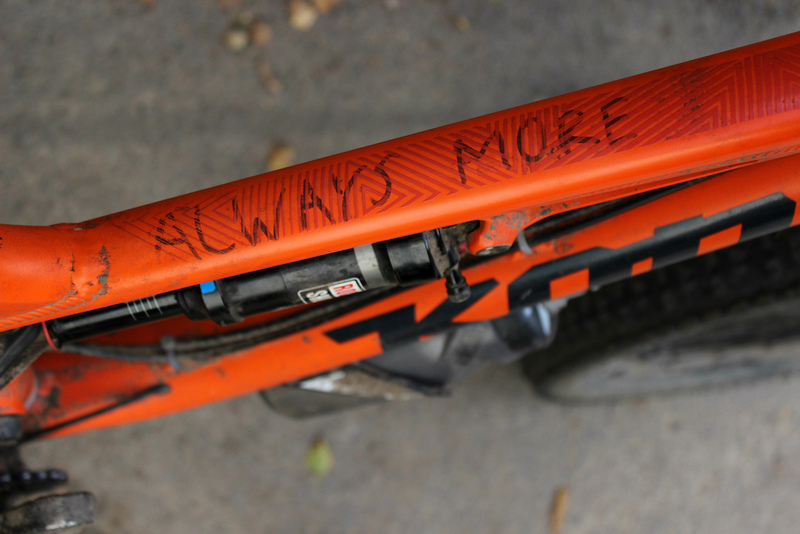 I’ve always… well, I’m a bit of a nerd for bikes really. I’ve always loved fixing bikes. I think I’m one of those people that, I don’t do things by half measures and I don’t know if I’m fascinated with bikes because of riding or riding because of bikes, but I love working on them, always have done. I’ve been working in the bike trade for a couple of years and then I started working for a company called Vertigo Bikes in Queenstown which had a really cool outfit and they would be really good, they’d kind of let me go on rides in my lunch break so I could get a lap of the bike park and pedal up and they just gave me so much support. Much needed motivation for the hard days. 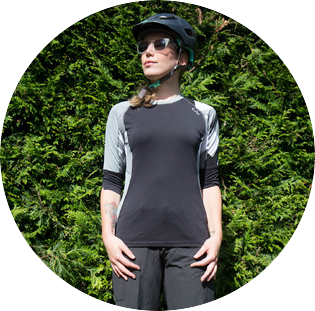 You ride bikes and you work in the industry, have you had to make any major changes to your lifestyle, how did you fit it all in? For the first four or five months of this challenge I was working in a burger bar at 8 p.m. – 6 a.m. every night, five nights a week so I was basically nocturnal and I’d ride in the afternoon and that was intense, but then once I worked in the trade my day would revolve around it, especially in France. I’d get up at half five, ride before work, work and take the time to ride in my lunch break then go riding after work as well so it really was quite intense. One of the guys mentioned earlier that you’d get up at five in the morning, you’d go ride, come back and eat a bowl of cereal and then go again, so did you change your diet or anything? It’s funny because I think for me, I want to ride bikes, I want to have fun whilst doing it and that sort of thing. When I ride bikes I want to do it properly but I want to enjoy all parts of my life so it seemed criminal not to have a beer after a long ride and that sort of thing. I could have probably of eaten better. Did you find it hard to fit in time to eat when you were riding? Yeah, I find it hard, in France it was really difficult because we had these two or three weeks where it was around 36 to 38 degrees every day. I felt sometimes that I couldn’t eat fast enough or couldn’t eat enough, and for me when my blood sugar gets really low my vision goes. It’s after you do a couple of hours climb and you can’t see, it’s pretty horrific. The two or three weeks in France when it was so hot I got heatstroke about seven times in five days and got so ill, it was horrific. When did you actually start the challenge? I started on October 1st, 2014. I wanted to finish within a year before the 1st of October of this year, but I wanted the final ride to be with my mates and not just by myself sort of high-fiving myself. So I wanted to shotgun a few beers, high five some people and just laugh it off because it has been a long time coming and also I couldn’t have done it without the support of my friends. You decided to tie in the charity thing and raise money for Unseen, why that particular charity?Basically I wanted it to be something different, I’ve done a lot of fundraising for cancer research before and while I think that it’s an incredibly worthwhile cause there is something so distinctly vile and atrocious about human trafficking, I can’t think of anything more horrible and when people are trafficked it’s not something that happens by accident or pure chance it’s people going out of their way – and people always say, ah you know Henry your life must be really hard because you do all this riding and it’s like, my life is riding a bike and that’s as hard as it gets, how fortunate am I. These poor people get plucked off the street and just disappear and I think Unseen also seems like a really well organised charity and I think if that happened to one of my friends or someone in my family, knowing that there’s actually someone fighting in the corner for it, it makes it better. They provide a lot of legal help and actually change laws and provide things like safe houses and do so much good work I couldn’t think of a more worthwhile cause. You mentioned your bike got stolen, did you have to get a new bike or did you get any support from anyone? 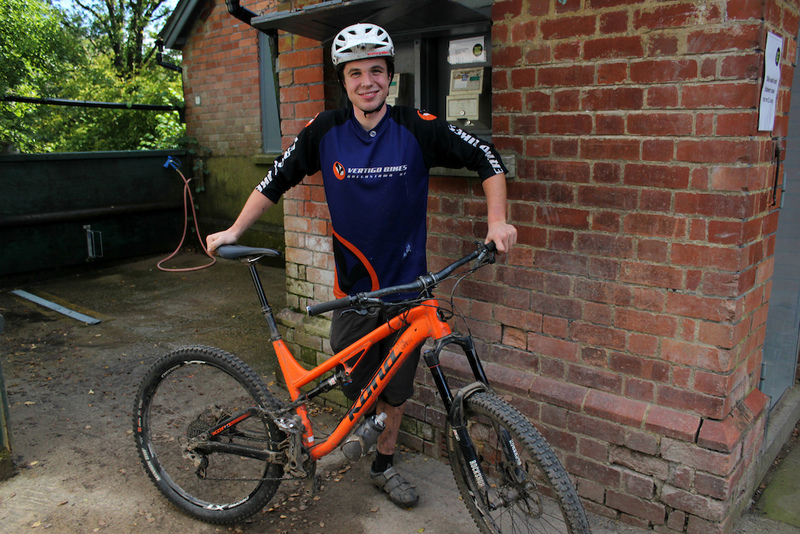 I got helped out quite significantly by Leisure Lakes Bikes in Cheltenham. I was working there at the time and they were fantastic for me and like I said I think because when I started this challenge I hadn’t ridden a bike in four months I was so unfit. I just thought to myself, how am I going to appreciate my bike in every capacity and I think sometimes you can kind of look for an excuse not to ride . Oh you know it’s a bit wet or this isn’t quite right or you know, and it just taught me to just get on with it. Just quit moaning and just get on with doing it. Going back to the bike, have you had any major mechanicals, how many tyres have you gone through, that sort of thing? Well it’s been done over four bikes just because I kept blowing up shocks on my Specialized so I went through three shocks on that and then whilst it was being fixed I was borrowing bikes off of other people. 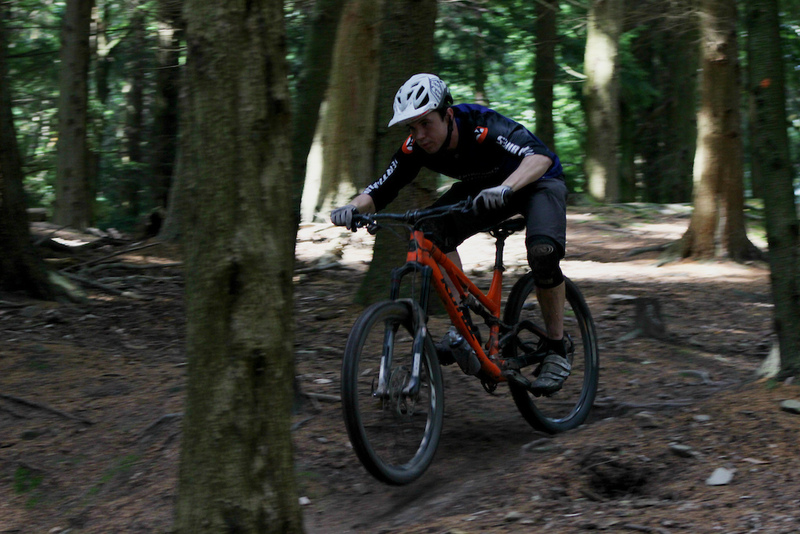 I was very kindly lent a Polygon which was an awesome bike and a Giant Reign which, yet again was just savage. The important thing for me though is that all the bikes have been built around a 160mm chassis, it’s all been on big bikes. I’ve been ascending with big tyres. I’ve gone through 3 Cassettes, 5 Chains that I used to the very brink of their existence even though I am quite gentle and I think I’ve used around 13 tyres. The most common being a Minion. I think around 10 lower legs on my forks, I’ve had one full fork rebuild and somewhere in the region of six air can services on my monarch. Luckily I’ve only properly destroyed one wheel. I also used one pair of XT pedals, one pair of Specialized Rhyme shoes, five rotors, more brake pads than I’d ever want to count, gallons of sealant, one helmet, three pairs of gloves, three pairs of shorts and three chain rings. Some things did last me until the end but are FUBAR’d and pretty much unusable now. Special recognition to the XT pedals as they were the only thing to last until the end! Although they’re screwed now. I think that’s about it! It’s cost me quite a bit, I don’t even want to know what I’ve spent, although one of the biggest outlays has been on food and stuff. There was once a time when it was all energy gels and special tablets and towards the end it was mostly homemade banana bread and flapjacks. I’ve run out of impetus and money to spend! What are your best and worst memories, I’m sure you’ve got plenty of crazy stories? 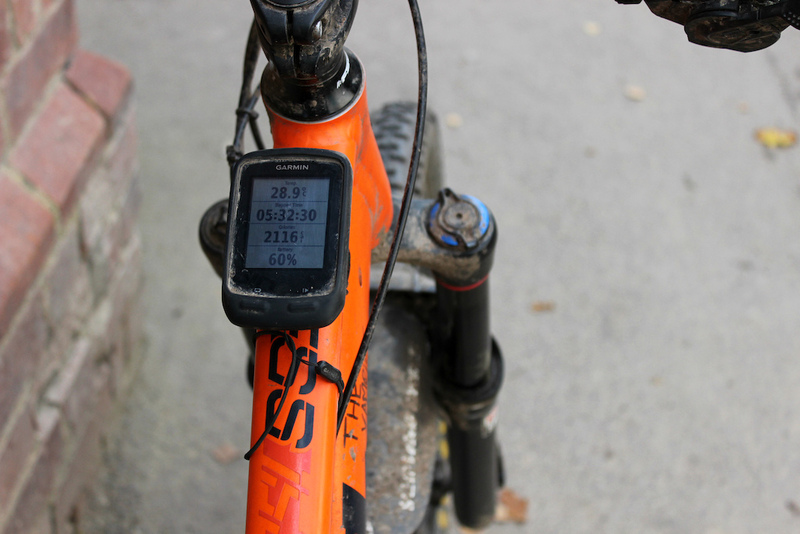 Ah man, the best memory…when I did twenty-four hours of Rude Rock is probably one of the best and worst memories funnily enough because I did twenty-five laps and on my Garmin I wanted to climb the height of Everest in one day on a bike. On my Garmin it said the height so it was all great and I started high-fiving strangers, it was amazing and then when I got home and uploaded it to Garmin and Strava, Strava corrected the data and it showed that I was like 180ft off and I was so disappointed because you can’t get your name on the leaderboard and I’d told everyone that I’d done it, so I felt like a douche. That was probably both the best and the worst. There were other times in France that were hard because I was only riding you know, riding all the time and sometimes it’s quite a lonely challenge in some ways because everyone else was using lifts all the time and it would be like, ‘Yeah, have a great day guys, I’m going to destroy myself on a mountain somewhere.’ That was quite difficult. Moving on to injuries, there’s only so much a body can take, so talk us through how you’re doing? In terms of injury I had a type four AC separation, I broke some ribs, I’ve had maybe two or three pretty decent knocks to the head. I’ve got tendonitis in both knees, I’ve got torn cartilage in my left knee, worn cartilage in my right knee and pretty screwed ligaments in both hands, which have mainly just been from crashing. The tendonitis is from pedalling, but the majority has been from crashing. There’s not really been anything else too bad, I’ve had proper chronic exhaustion twice which isn’t strictly injury, more illness related but when you get really fatigued it’s not great. I was throwing up for around seven days straight after a bout of really bad heatstroke in France. 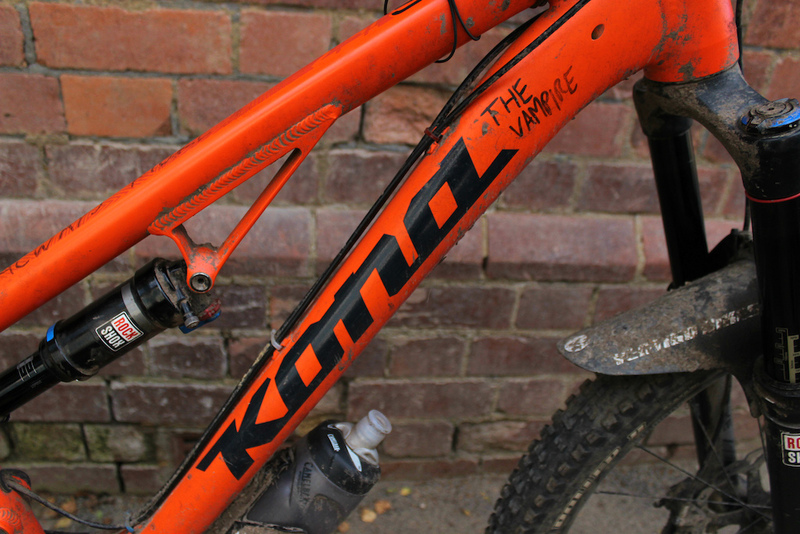 Kona ‘The Vampire’ a reference only few will understand. Were there any moments when you thought what am I doing, I can’t do this? There have been many but sometimes I just said to myself you don’t need to do this today and that would actually be motivation. Once you actually take the expectation off you’d actually go and do it and suddenly it wouldn’t be such a big deal. There have been times where it’s got quite tough, but I see it as nothing short of dishonest if you say you’re going to do something you’ve got to at least make a solid effort. It was pretty cool actually, the other day was the first day since when I did my shoulder that I was actually on target. When I did my shoulder I remember carrying my bike down the trail because I was riding by myself on these really steep trails and my arm was hanging limp and immediately I knew that I could still do it. There have been small bouts of worries, but I’ve never really doubted myself, I’ve always had this. How did you set targets, did you have a plan? I was just smashing it, riding all the time having a great time and then after my shoulder I was riding again within six days which is probably not right. I literally wore bib shorts and I would tie my arm up for the climb and then let it rest on the descents. The problem was it never really let my mind heal. I still had a big issue about failure and that’s probably only gone away in the past couple of months because I was riding so scared of hurting it again and I’ve only just got back to my old self recently. After that, it was just a case of just doing what I could. When I tore my knee cartilage that was quite painful because it meant I couldn’t bend the inside of my left leg and so cornering suddenly becomes really scary because you’re trying to do everything completely flat or left leg down the whole time and that was pretty painful. There are big mountains in France and once I got there I planned to just smash it, and I think I did. 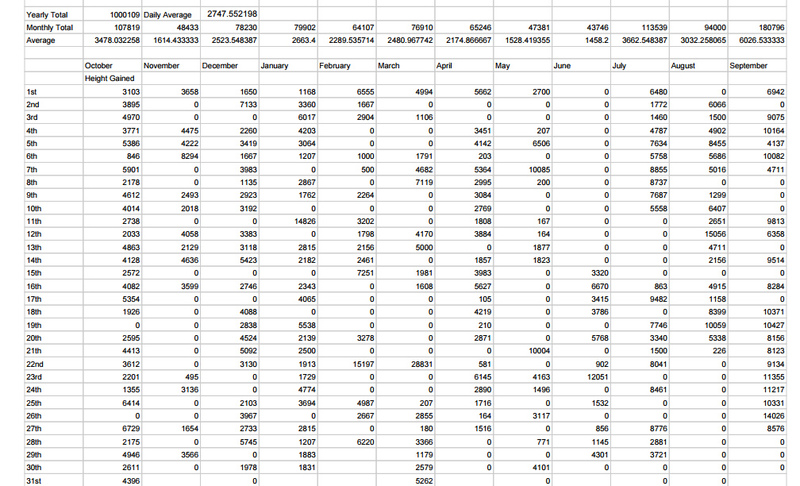 This last month has been pretty hard, 180,000 feet or something to get the numbers up. The Garmin, now in a hedge somewhere. What’s the most you’ve done in a day? The most I’ve done in a day was just shy of 29,000ft and the most I’ve done in a week – well in the last few days of the challenge I did 100,000ft of climbing. My knees are ruined! The challenge is hard enough on your body, but what’s it like mentally? Mentally it’s pretty tough. I mean I would just try and hit a ratio and in New Zealand and in the UK the hills are quite steep so you can do about 3000ft in two hours and that’s what I worked towards all the time so I constantly had little goals. Sometimes when you’re going out there, especially in France and you’re heading out into nowhere for twelve or thirteen hours of riding you go through such a range of emotions in one day. I think it’s quite good to feel extremes – sometimes you’re so stoked and sometimes you just want to crawl into a hole and die. It’s just about trying to keep it on an even keel. I would say a lot of the time when I’m not feeling motivated I think well, if I just go home now what would I actually do? I’m just going to sit on Instagram for about an hour and then just smash Tinder – that’s actually what I did the ligament damage on (laughs.) It’s been a strange but cool experience. How do you feel now that it’s all done? Do you think that you’ll have a bit of time off riding? I’m probably going to have a bit of time. I’m not going to ride bikes again until I want to ride bikes again, but it will probably only be a week or so, but I’m only going to do it when I want and then I think in New Zealand I might do something. I feel like I’m indebted to myself to actually make something of my fitness so I don’t know, I might try and do some more 24 hour race stuff, I don’t know. I guess when you ride bikes with your friends it’s a different kind of riding bikes to what you’ve been used to over the past year? Yeah totally. I mean it’s been hard. In the eleventh hour you get so tired that you don’t even want to do the descent anymore. That’s the most nerve-wracking bit and the place you make so many mistakes and that’s when you crash and it’s just, urgh. I mean when your vision goes because you’re just so tired, you’ve got to just accept it and be like, that’s it, let’s just crack on. Has it changed riding bikes for you? Yeah, it’s taught me to not be a wuss, just get on with it. People make so many issues about so much, you know, ah this isn’t right or something. 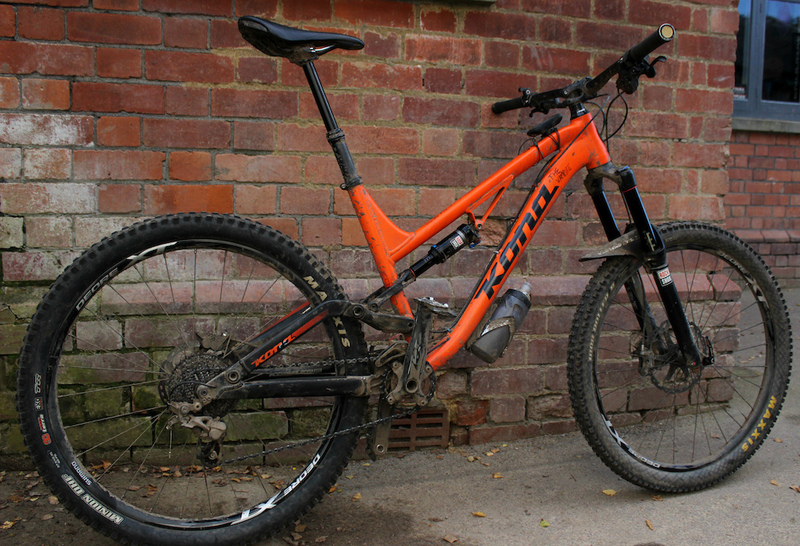 For a week or two I was riding my 650b Kona with a 26” wheel, it was horrible but actually it made me realise that my body is moving quick and I’m going down the trail and although I’m not hitting things I’m still moving forward so it doesn’t really matter. I think as mountain bikers we get so hung up on the perfect setup and more and more I just think, just let it run. You can think of an excuse not to do anything you know, just get on with it. If you love riding bikes just ride them. I’d love to do the Tour Divide in America, I would love to, I don’t know. I think that once the external pressure has been removed I want to see if I enjoy riding bikes like I do now which I’ve got a feeling I might do, but it won’t be to the same extent I don’t think. I’m really looking forward to the liberation of it. Outside of riding bikes has this challenge changed your life in any way or your outlook on things?Yeah, I think before this I was having quite a rough patch and feeling quite down in the dumps sort of thing and that’s another reason behind it, I said I just wanted to kind of pedal out of it and pedal into satisfaction. It’s definitely changed my outlook on a lot of things for sure and also it’s a years’ work you know. I’ve said before, imagine it’s an exam or coursework, it’s something you can’t just leave to the last minute and wing it. Every day you’ve got to get on with it and the cool thing is you’ve only got to do the seven thousand, three hundred and thirty thousandth foot once and then go on to the next one. I think to constantly contribute towards something is satisfying. 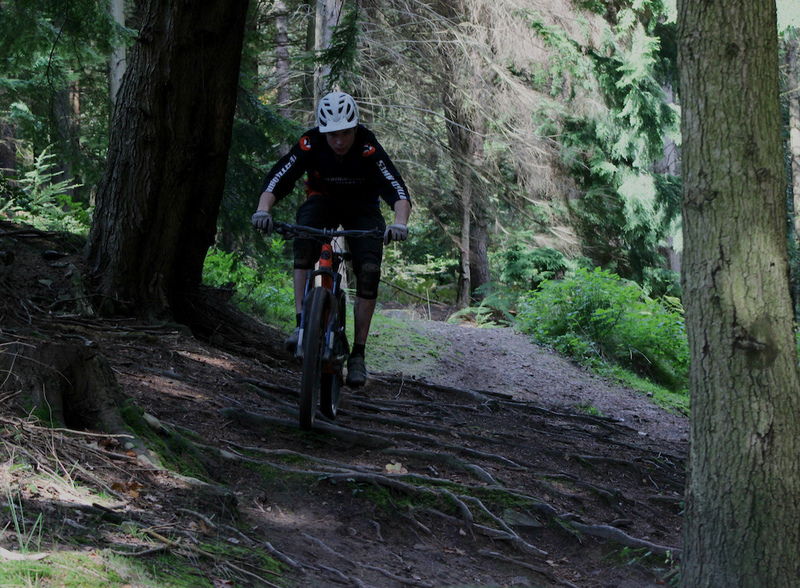 Where would you say is the best riding you’ve done? I think the best riding, ah it’s so difficult. 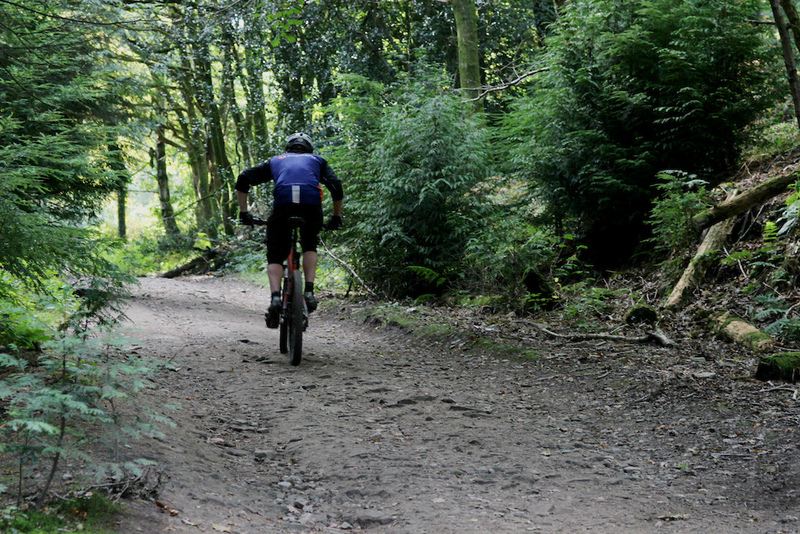 I still think the UK has some excellent trail riding, I really do, but a lot of it isn’t on your doorstep. Queenstown the riding is just savage, I absolutely love it there. I would say that it’s a very hard place to come back from injury because the trails are pretty wild, there’s nothing gentle. France was really good and there were some absolute diamonds there, but it wasn’t as good as Queenstown because Queenstown is actually built for riding bikes. In France, you’re hammering down a load of old walker’s tracks which can be fun but quite frustrating at times. I also did a bit of riding in Italy, but my tendonitis got so bad I had to have a week off from the challenge so I was just smashing lifts in Italy with the Garmin turned off so I don’t know how much descending I’ve done because I’ve done a fair few days on the lifts, but with no Garmin. There would be times where I would get a really even number which wouldn’t make sense and I’d think how did I get that, it’s very strange, and what it is, I’ve gone through and say I’ve done a massive day on the lifts I’ve gone through the graph and added up the difference then rounded it down to make it watertight. I always round the downs, that’s probably the fairest way of doing it really. I’ve kept track of everything on Garmin and Strava and then I’ve put it all on this ridiculous spreadsheet which I’ve been living my life by for the past year. It satisfies the nerdy impulse in me. If you could possibly sum up this whole year in a condensed way, what would you say? If someone is about to embark on this themselves I would say don’t be afraid, just to do it. If you want to do something different, do it differently and there’s nothing like doing it. The mentality that I tried to get into when I was struggling was if I had a gun to my head could I do this? And, yes I could. So the answer is yes, I can do it. It’s a pretty crazy thing. Since I’ve finished I feel like school is out but I’m looking back only remembering the good times. A bit of me wants to pedal some more but to be honest, the social finish last Sunday just reminded me why I love riding so much. Just getting wild with friends, that’s it, isn’t it? I don’t know what I’ll do next, quite simply. I think whatever it is it’ll have to include a more significant social element. The isolation was one of the harder parts of this. It wasn’t as if I was going racing every other weekend, I wasn’t trying to get an edge. I couldn’t console myself knowing that I was doing it to beat the other guys. It was just me alone on the side of a mountain. Sometimes that got a little old, I suppose. My plans now are just to enjoy the other side of riding. I’ve ordered some flat pedals and just want to become a park rat for a week or two. Might even get a tank top. Growing a mullet is definitely on the cards. I can’t wait to get back to the roots of it all I suppose. I’ll definitely always love the big days out though, that’s for sure. I want to get back to work in New Zealand. Get a little settled there again and try and get in the best position I can be so if and when I decide there is something that I really fancy I’m a whole lot better prepared going into it than I was for this! I certainly intend to measure my rides in a different way from now on, that’s for sure! You can donate to Henry’s chosen charity, Unseen, here. Check out his Facebook page to see what he went through during the year. 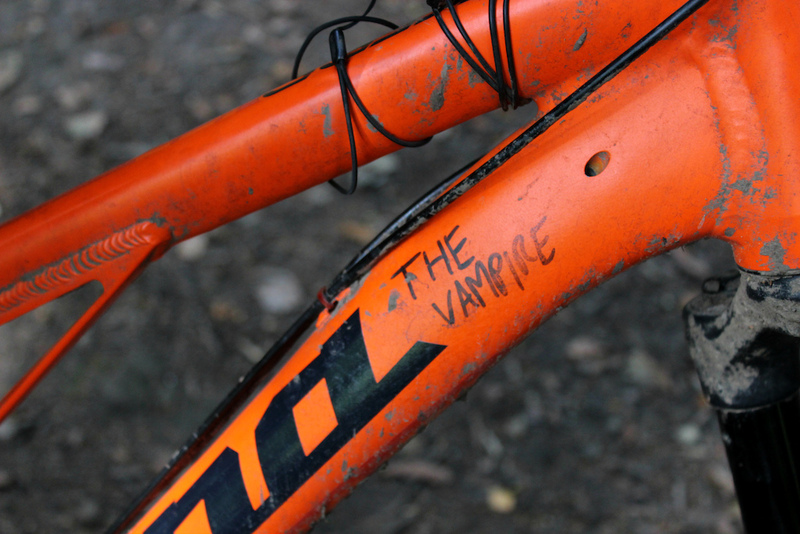 You can also check out some of his rides on @trailforks here. This article was published on Pinkbike on 11 October 2015. November 2, 2015 | Comments Off on Interview: Can a Regular Person Climb One Million Feet in a Year?